I seem to have blinked and September has gone by in a flash! Can you believe it’s nearly October already?! I know Summer must be over because when I wake up it’s still dark outside and there’s now a chill in the air when I take the dog out for a walk. Now the long summer days are dwindling I know I’ll be spending much more time indoors all cosy with the lights on. Because of this I decided to do my next post on lighting because I’ve been meaning to buy some new lights for a while and haven’t got round to sorting it out yet. What better time to begin now it’s getting dark outside?! I’ve been searching high and low for affordable pieces that will give a nice ambience in my dining room and kitchen because at the moment I’m making do with a light shade that cost me £10 and it’s starting to annoy me because it looks cheap and tacky. 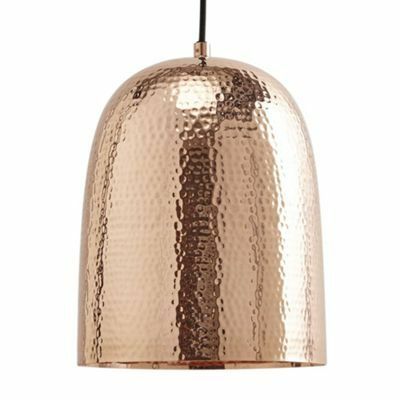 I’ve been looking for a pendant light to go above my dining table and a table light that complements it to sit on my sideboard. I really want the pendant light to be unique and stand out as a focal point within the room and for the table lamp I’m opting for a more simplistic style so it doesn’t clash! I’ve been hunting for a couple of weeks now and found it a quite a challenge trying to find two lights that go nice with one another. Last week Cox and Cox got in touch with me and offered me the opportunity to select an item from their new Autumn/Winter range in exchange for a product review; I immediately thought this is a great chance for me to finally find a light as I’ve been ogling at their products for a while. 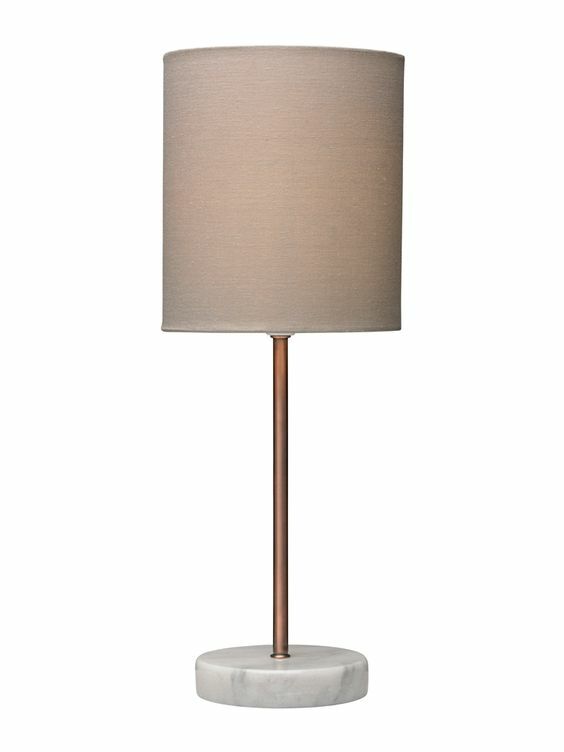 After some ummming and ahhing I decided upon this lovely table lamp with a marble base and copper rod. I love the detail and the simplicity. What do you think? It retails at £80 so is very affordable. Today I received a message that it will be delivered tomorrow so I’m really excited to test it out and style it in my room! All I need to find now is a lovely pendant light to complement it. I have found it really difficult trying to make a decision when there is sooo much choice. One piece of advice I’d say is to decide on your budget first and only look for items that sit within that price range, because that helps you narrow things down much better. I’ve decided on a budget of £100 and I thought I’d share some lovely lighting pieces I’ve found during my search so far, however I feel like I need to search more because I’m still undecided. I may need some help so if anyone knows of any good lighting brands please let me know! 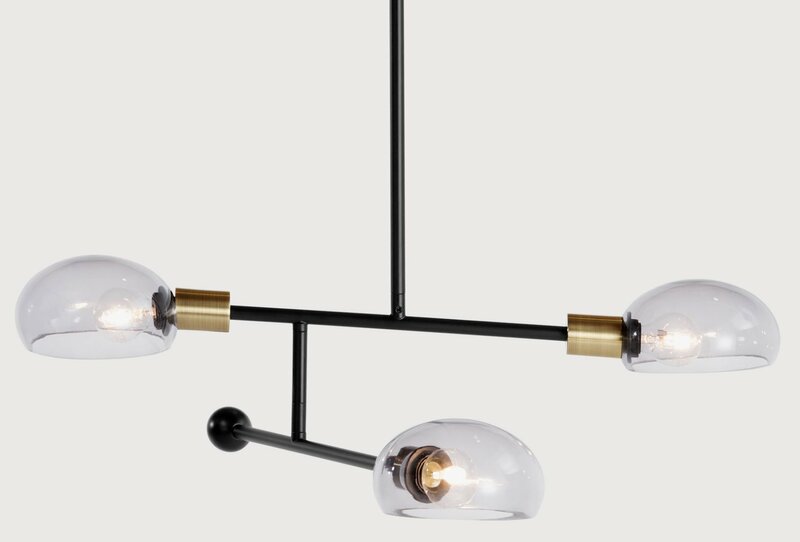 These are my favourite lighting pieces that I’ve discovered priced at £100 and under. Some of them don’t even go with my interior but I thought they were so nice that I had to share them still. 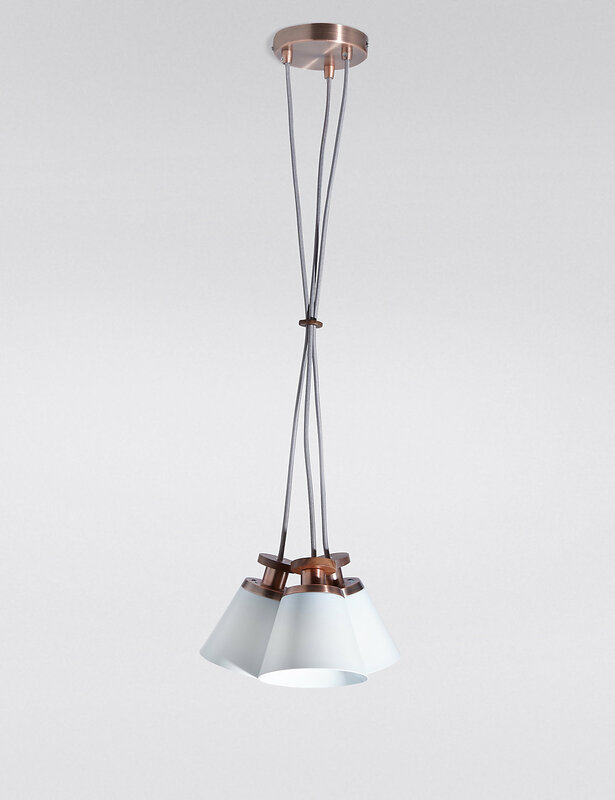 This striking light (Tangle) is £99 from Made.com and I absolutely love the angular design. I’ve not seen anything like this before at such an affordable price for a designer style. The only thing that holds me back from buying this one is the fact that it has a brass detail instead of copper. I have copper accessories in my kitchen diner so I want it all to match! This lovely light is from John Lewis’s global edit (Ayo Raffia Weave Ceiling Light £95). 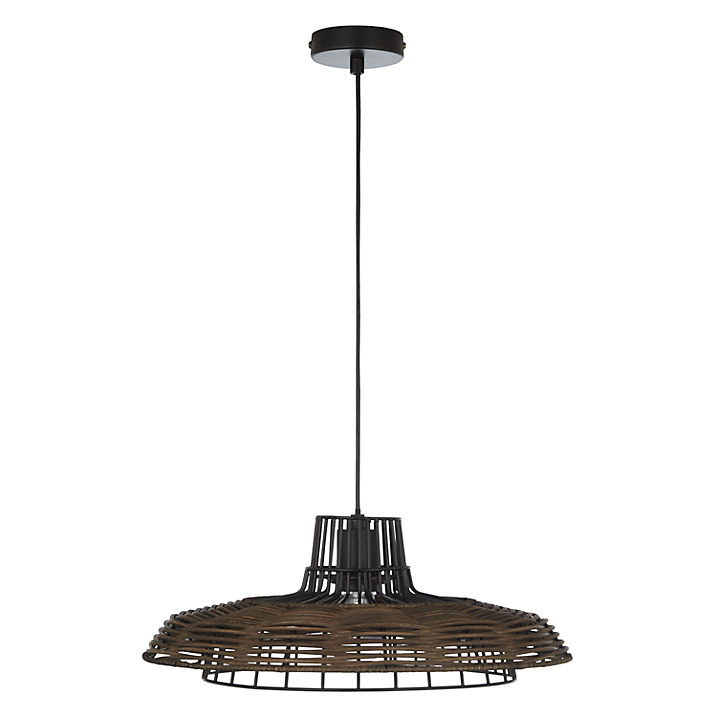 If you like to travel and want to create an eclectic travelled look then this light is ideal to sit above your dining table for a softer, natural styled interior. 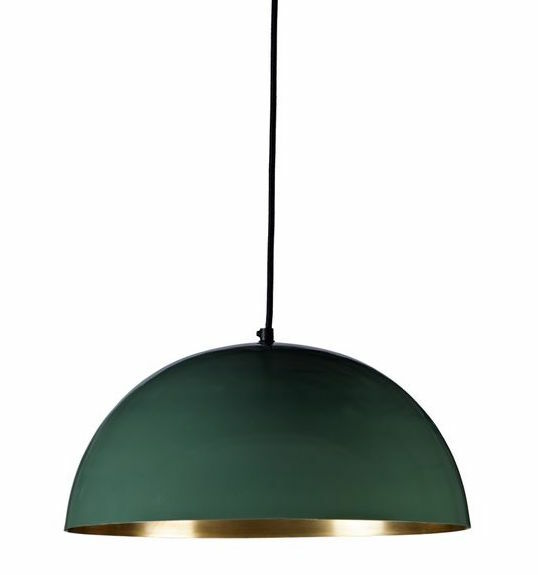 I love the rich Emerald green tone of this ‘Green and Gold Pendant Light’ by Cox and Cox £100. This wouldn’t work in my interior but if I was starting again with a new colour scheme I’d certainly consider this as an accent colour as it looks so luxurious. I’m really liking this cluster style light with copper and wood detail. This simple light is from Marks and Spencer (Conran Isaac Cluster £99). The design is simple and sophisticated but at the same time it’s still got that something that makes it stand out. 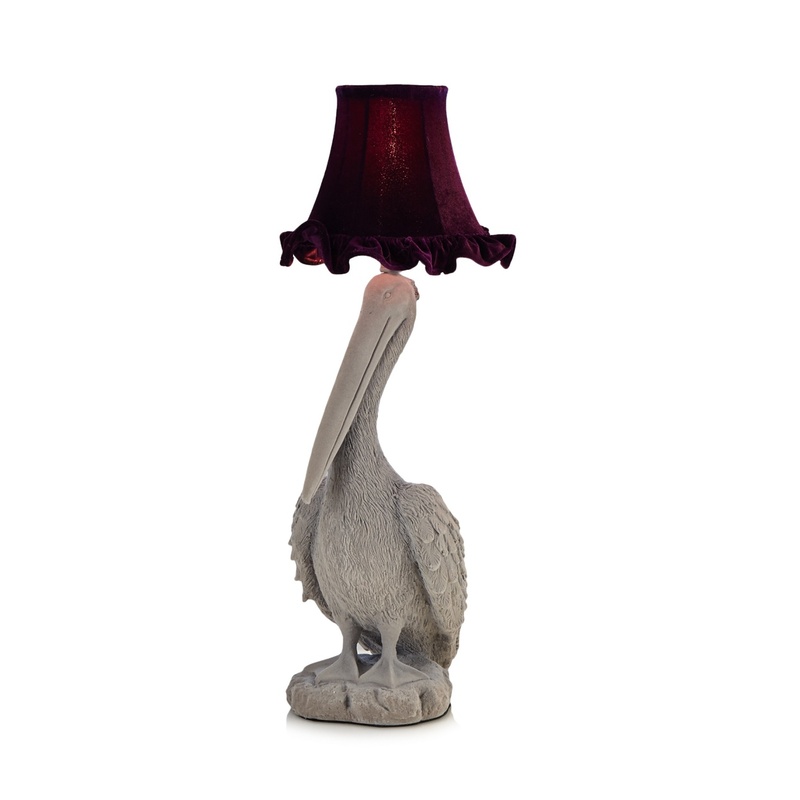 This Pelican light (£90) really caught my eye from Abigail Ahern’s Edition range in Debenhams. Abigail Ahern is an Interior Designer and blogger with her own interior shop and she has some really unique and distinctive homeware pieces. I’d highly recommend having a nose at her range if you want to make a statement with your lighting! 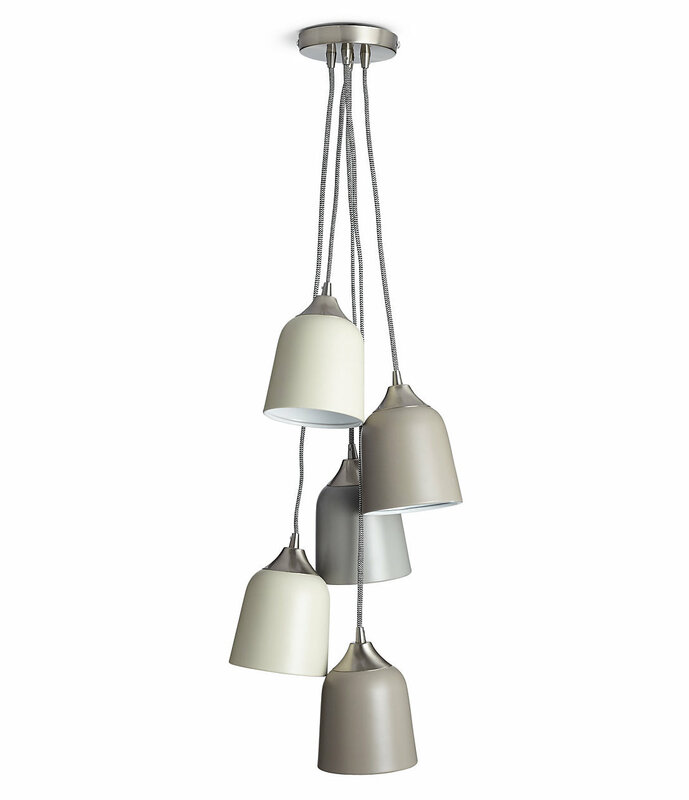 I love the style of this cluster pendant light (Loft Cluster £75) from Marks and Spencer. The different heights and contrasting tones of grey create an eye catching focal point in a room. 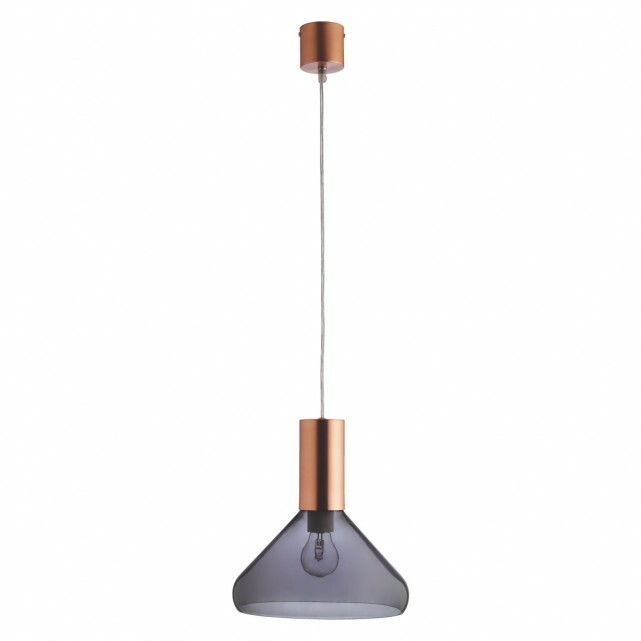 This Copper hammer metal pedant lamp is designed by Litecraft and available to buy with 25% off in Debenhams at £81. This would look perfect in a row of 3 above a breakfast bar or a round dining table. This sleek and stylish light (Marlowe £60) is from Habitat. The copper contrasting against the glass gives it a luxurious look that would work well with any colour scheme. 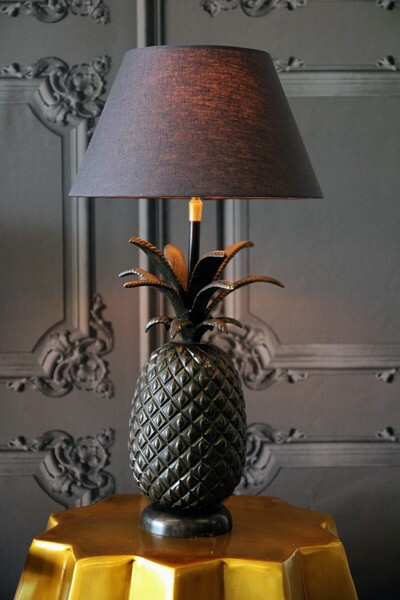 This quirky table lamp (Pineapple Table Lamp £95) is from Rockett St George. Rocket St George have some amazing pieces for your home if you like eclectic and unique design. How amazing is it that each of these lights are £100 or less? It just shows goes to show that you can find gorgeous pieces at affordable prices if you search hard enough!! What is your favourite light out of my choice above? If you have any suggestions of lighting brands then I would love to know!